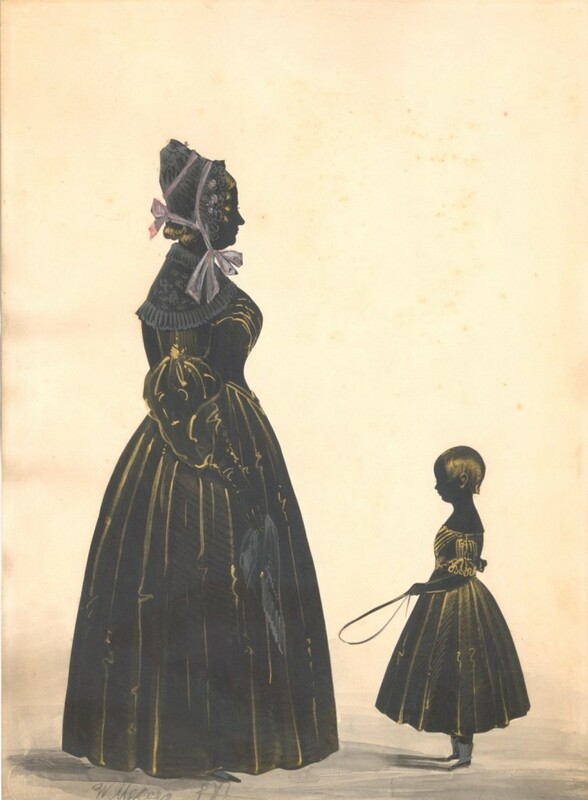 This charming double silhouette shows a mother and her child attired in their Sunday best. 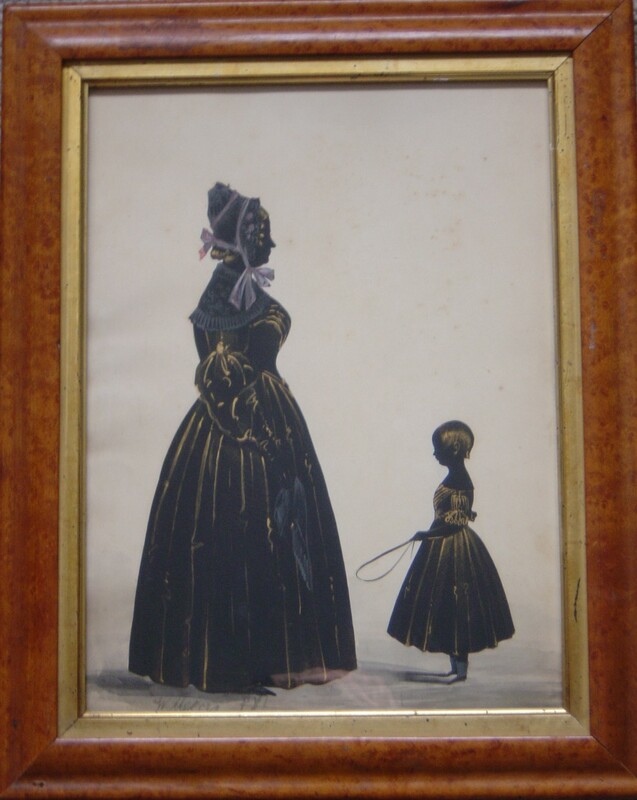 The lady’s dress has a pleated bodice and ‘gigot’ sleeves with a lace pèlerine covering her shoulders. Her pretty bonnet is high at the back to accommodate the high knot of her hair and is trimmed with pink flowers and ribbon. She is holding a large handkerchief in her right hand. 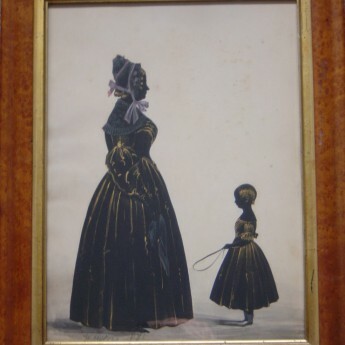 The child (probably a little boy) is holding a toy whip and is wearing a calf-length dress with frilled sleeves, along with little bootees. The silhouette is cut and extensively gilded with touches of watercolour used for the lady’s dress, her handkerchief and her bonnet. It is signed along the bottom edge ‘W. Mercer PV1’. Those last three letters are difficult to make out and even more difficult to make sense of! The artist is unlisted – possibly someone in the family or a friend – but was nonetheless well skilled in the art of cutting and gilding profiles. The background card has some light age-browning and spotting and is slightly wrinkled on the left side. This is all less noticeable to the eye than the images suggest. It is set in a period bird’s eye maple frame with a gilt slip.